Water leakage and seepage are the main problems in buildings. It is a sign that the structure is experiencing some cracks that are allowing water to seep into the building causing tremendous effects like wet floors, dump ceilings, molds growth and presence efflorescent. Water leakages are common in particular parts of a building. The following are some of the common water seepage and leakages problem. Structural leakage: It involves the entire design and structure leakages mainly caused by environmental conditions. Structural leakages are caused by structural shrinkage and cracks, expansion joints, and mechanical cracks. Wall leakage: Concrete leakages are common in building because of the natural nature of the concrete material. If waterproof materials are not well installed, your building is more likely to suffer from water leaks and seepage problems. Ceiling leakage: Most of the ceiling leaks happen when the concrete slab above the ceiling cracks and allows passage of water. This type of leakage is common in old houses that have a worn out waterproof membrane. It is important to renew waterproof membrane after the warranty duration is over to keep the building waterproof. Toilet leakage: A leaking toilet has the potential of wasting more than hundred gallons of water if not repaired. Toilet leakages repair are easy and affordable to repair because they do not require a lot drilling and evacuation. Roof leakage: A main signal of a leaking roof is a wet ceiling. This is because roof leak affects the ceiling condition. In most cases, small roof leaks result into major roof problem that requires a lot of work to be fixed. Roofs need to be well insulated to avoid such secondary problems like ceiling and wall problems. If you start seeing paint peeling off and blistering, it is a sign that water is leaking in your house. Wall cracks allow moisture to accumulate behind the paint and with time it makes the paint coat to detach from the wall. The peeling of the paint can be observed both on the interior walls and exterior walls. Wetness and dampness change the color of wall and ceiling surfaces. In most cases, you will see a brown color or a dark color is the water leakage has been going on for a long time. Once you not the color change, you should inform the specialists to come and assess the problem. Wetness creates a good environment for mold to grow. 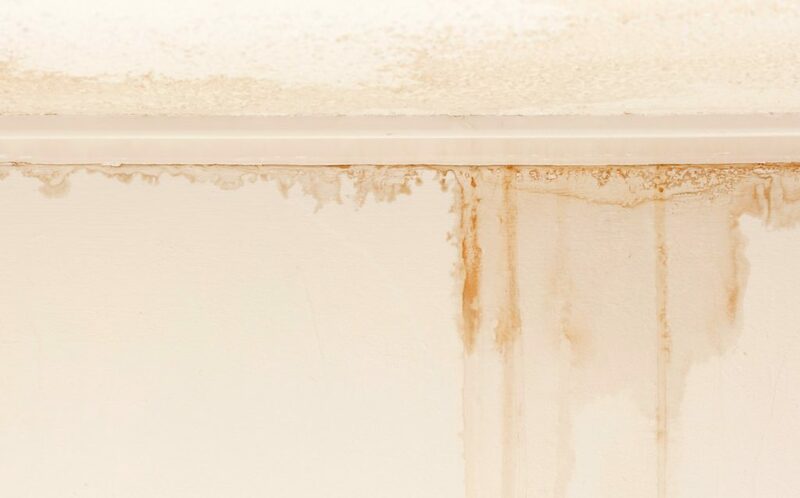 This mold can be seen on the bathroom tiles, walls, and roof among other places that are exposed to water. Efflorescent is a substance that changes the colors of tiles. These two are a sign that the house is highly exposed to moisture accumulation. There cold be many reasons as to why a house can have a musty smell, and one of the main cause is water seepage. Dampness causes a room to have a different odor than normal, regardless of using different house fresheners. You should consider calling the Waterproofing Singapore experts to come and examine the cause of the smell. Check your water meter number to see whether there are any notable irregularities. If your water bill is seemingly high, it may be a sign that your toilet, bathroom or other structures like pipes are having water leakages problems. The best solution for this method is repaired from waterproof experts. If you have stayed for long without having Waterproof Service. If you have stayed for long without having waterproof services, it is high time you considered hiring Waterproofing Singapore contractors to install waterproof membranes. This is because constructions need sufficient waterproof membranes to protect them from water leakages and seepage. The main cause of water leakages has a way through of unwanted water into the building. The most affected part of your building is the basement. Therefore, you should ensure that your windows are well sealed from cracks and spaces that give way to the accumulation of the unwanted water. Another source could be from the excess water that accumulates below the foundation of a building. Excess water can break through the foundation into the house due to the extreme hydraulic pressure. The best solution to sealing such entrances is through installing waterproof membranes and sealing the cracks. The cracks and leakages that are not taken care of become the best source of water loss and moisture accumulation. With time the house will develop molds and the musty smell. The health status of your building reduces because dampness and molds can cause skin allergies. Also, your property begins losing value due to water damages. Carrying out the leakage repair tasks can lead to continuous damages of water seepage. Sometimes a crack may appear to be very small, and you may fee that you can handle the problem by repairing the crack. This will provide a temporary solution to the problem, but water seepage might still continue causing further damages. It is advisable to hire experts who are trained in waterproofing methods to examine the membrane and provide a durable solution. Waterproofing Singapore are not only licenses but provide lifetime water leakages repair. Blocked drainage system either by rubbish or sand collection can cause water seepage in the house. Sometimes the supply pipes may have broken causing water to leak consistently. The accumulation of this water may cause detrimental effects in your house. Open supply pipes may lead to loss of hundreds of gallons of water that could have been directed into house uses. Abstain from working with unauthorized drainage system practitioners because they may cause such problems. In case you note any of these signs in your house, contact us today for professional water leakages solutions. We have the best team in Singapore with the most affordable repair charges.